VoIP stands for Voice over Internet Protocol, and is commonly referred to as Internet phone service. VoIP technology allows users to make and receive calls using a high-speed Internet connection instead of a standard landline. The technology converts voice into little packets of data so that it can be sent over the Internet. 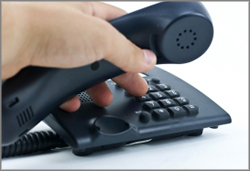 Hosted PBX and SIP trunking are two forms of VoIP solutions. A PBX (Private Branch Exchange) includes both the hardware and software that directs calls between a company’s phones and the PSTN (public switched telephone network). Instead of using traditional landlines to make and receive calls, hosted PBX uses the Internet to transmit calls. Hosted PBX business phone service provides business customers with a complete telephone system (phones and service) without requiring them to install and manage complicated and costly equipment. Both the service and PBX are fully managed off-site by the service provider. Session Initiation Protocol (SIP) is a VoIP service that connects a company's PBX telephone system to the PSTN via an IP connection (the Internet) to the service provider. This IP connection can be used to carry both voice and data traffic (i.e., Web and e-mail), and as a result, eliminating the need for costly T-1s and PRIs. If you are considering buying a business phone service and/or business phone system, here are some questions to ask yourself before starting your search. Have questions about Business VoIP, SIP trunking or Hosted PBX, connect with a TouchTone representative at 1-800-900-5474. SIP Trunking or Hosted PBX? Having reliable Internet and voice is important to the everyday operations and growth of a company. Fortunately, with the introduction of VoIP (Voice over IP) technology, customers have more options now than ever before when it comes to choosing a dependable and cost efficient communications solution. But with so many VoIP service options on the market, choosing the right business phone service and system can be overwhelming. In the end, it comes down to either hosted PBX or an on-premises SIP compliant IP phone system with SIP service. Your needs, budget, and company size will help dictate what VoIP service you should consider. If you are considering buying a business phone service and/or system, here are some questions to ask yourself before starting your search. 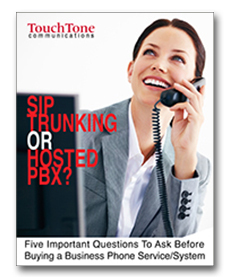 Have questions about SIP trunking or Hosted PBX, connect with a TouchTone representative at 1-800-900-5474. With today’s dynamic office environments, cloud services are proving to be a surefire way to reduce costs and streamline operations. 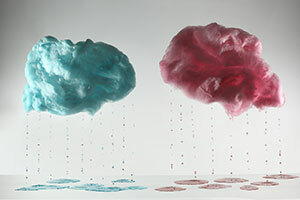 But what does it really mean ‘to move to the cloud’? Such a nebulous word, ‘the cloud’ means different things to different people depending on their needs. For some, the cloud means a storage locker in the sky; a place to save documents, pictures and videos online so that they can be stored, accessed and even shared whenever and from where ever there is Internet connection. Not only has this made our personal lives easier (we no longer need to e-mail documents to ourselves or burn a CD of vacation pictures for family and friends), but businesses are looking into cloud-based data storage in support of protection efforts such as replication, backup, archiving, and disaster recovery. For others, the cloud serves as a way to provide cost effective and scalable voice and data services. This means big bucks in agents’ pockets because small to medium sized businesses can get big business presence on a small business budget. Commonly known as hosted communications or digital phone service, voice is provided over an IP backbone (the cloud) – the PBX and service is fully managed offsite by the provider. Cloud-based phone service provides more robust functionality beginning with crisp, clear voice quality and an abundance of features not available with traditional phone service. Since the service is completely outsourced and the PBX does not reside at the customer’s premises, upgrades are automatically provided by the provider in the background so there aren't any costs to upgrade. With cloud-based digital phone service, customers can make and receive calls from any device and from any location with only one number, one voice mail box, one set of unified features, and all under one calling plan! More about digital phone features. When shopping for a quality cloud-based voice solution for your customers, it is important to compare the features and options each provider offers. Not every cloud-based phone service is created equal. Look for a provider that doesn't require a dedicated Internet connection, otherwise you will not be able to move your office for disaster recovery, telecommuting, etc. Learn more about TouchTone’s cloud-based digital phone service.